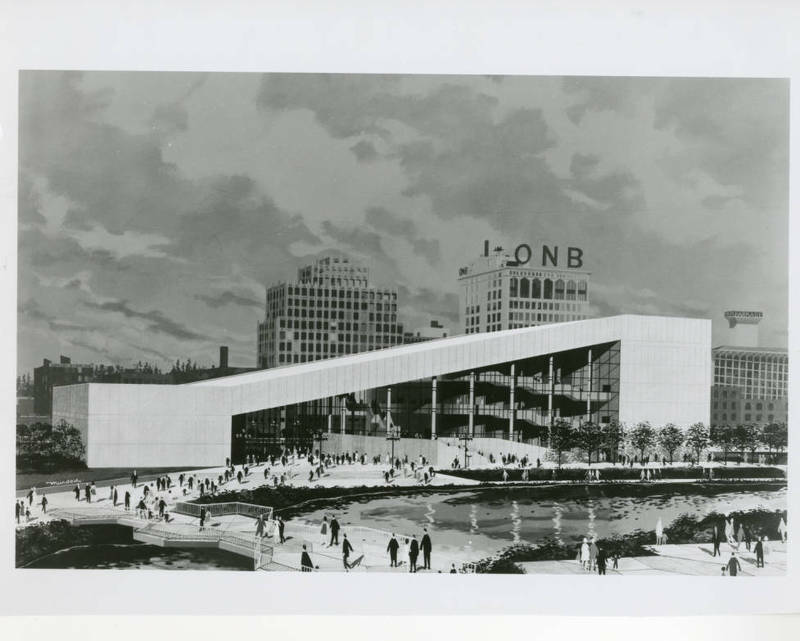 This building, the INB Performing Arts Center, was originally built as the Washinton State Pavilion for Expo 74. One of the most serious concerns for an exposition is getting exhibitors. The first on the list was the state of Washington. Fair Planners ask the state government for $7.5 million, arguing in part, that the Seattle fair had received $10 million in state funds. It was decided that the Washington State Pavilion would be a convention center and opera house where the Union Station currently stood. This location wasn't a popular choice because it was in a rundown neighborhood, but it was argued that the new building would help revitalize the area. Due to rising costs and additional $2.9 million was granted from the state government and another $1 million was raised locally. Local donors got to have their names engraved on plaques that were placed on the seats. 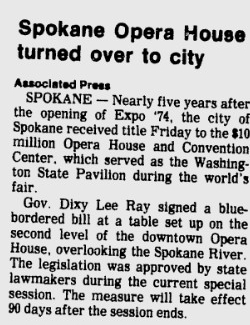 The first performance held in the opera house was a performance by the Spokane Symphony on May 1, three days before the opening of the fair. On May 3 the night before the opening ceremonies the Los Angeles Philharmonic Also held a performance in the Opera House. 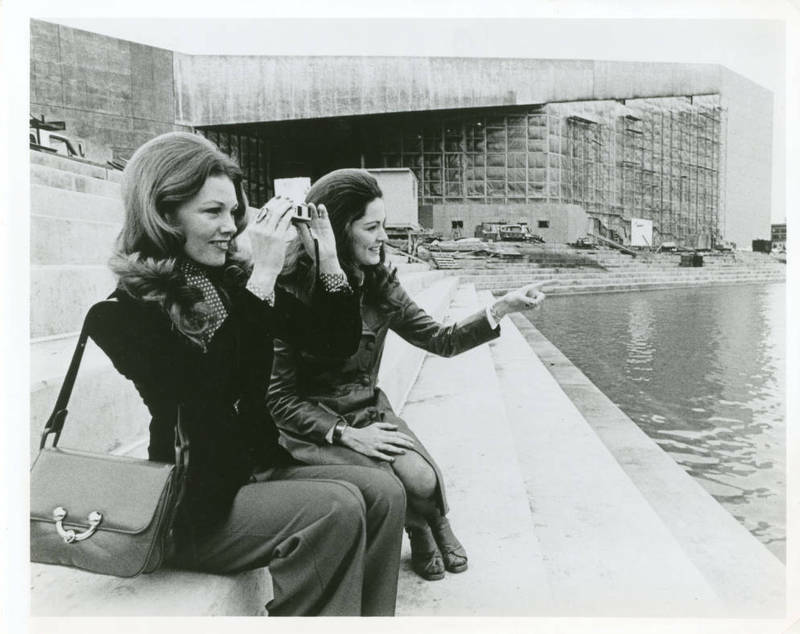 Throughout Expo '74 many symphonies and choirs from across the country and around the world would perform in the Opera House. After the fair, the Opera House and convention center belonged to the state government. The city of Spokane desperately wanted them but did not have the money to purchase them. Eventually the Governor was convinced and help pass legislature to sell them to the city for one dollar. 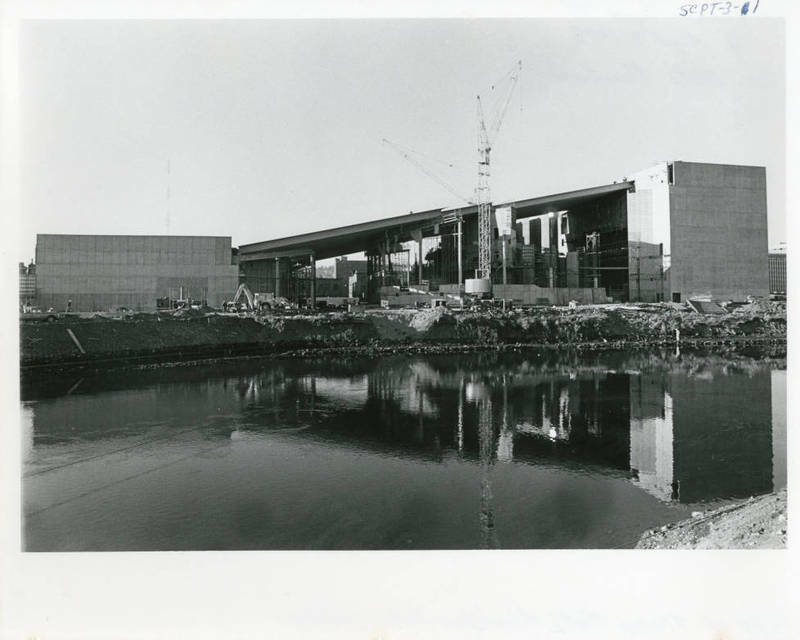 Shortly after the Convention Center was used to house a multimedia show called "The Spokane Story," which began with Thomas Jefferson and the Lewis and Clark expedition and continued on to show many important chapters of Spokane history. 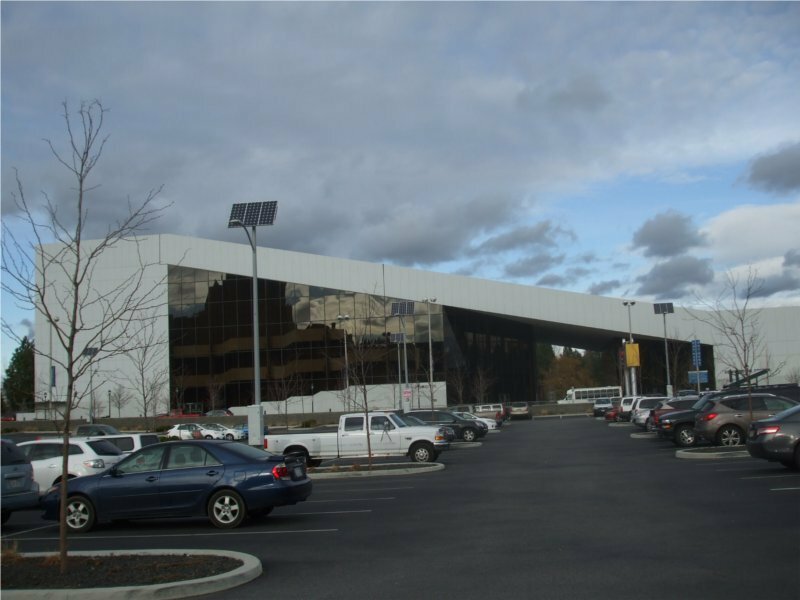 For many years Eastern Washington University had a science center located at the convention center. The main floor of the convention center is now an ice skating rink by winter and an amusement park by summer. In 2006 the Spokane Public Facilities District approached the Inland Northwest Bank for financial help with the buildings. 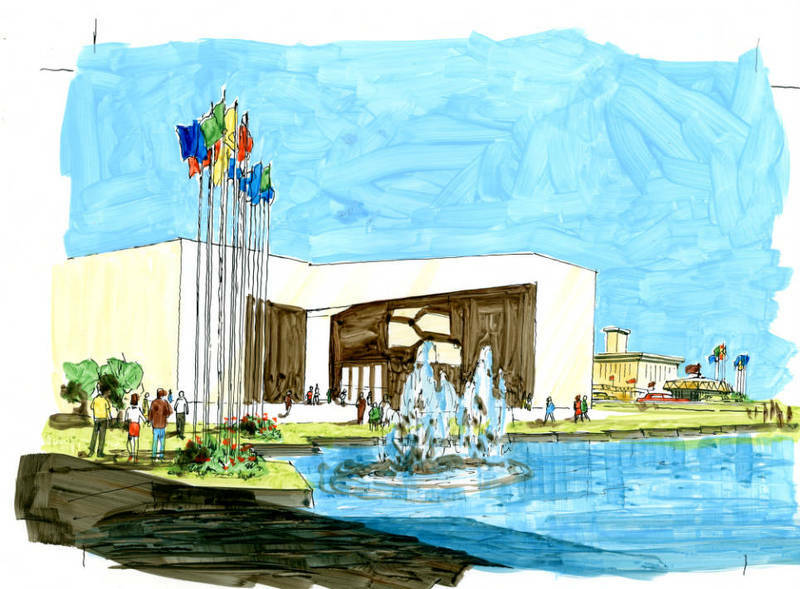 They bank agreed to help and offered $1.5 million over 10 years and out of appreciation the building was renamed the INB Performing Arts Center. The downtown face of the Opera House: This is the side of the Opera House that faces downtown Spokane. Courtesy of Jesse Roberts. 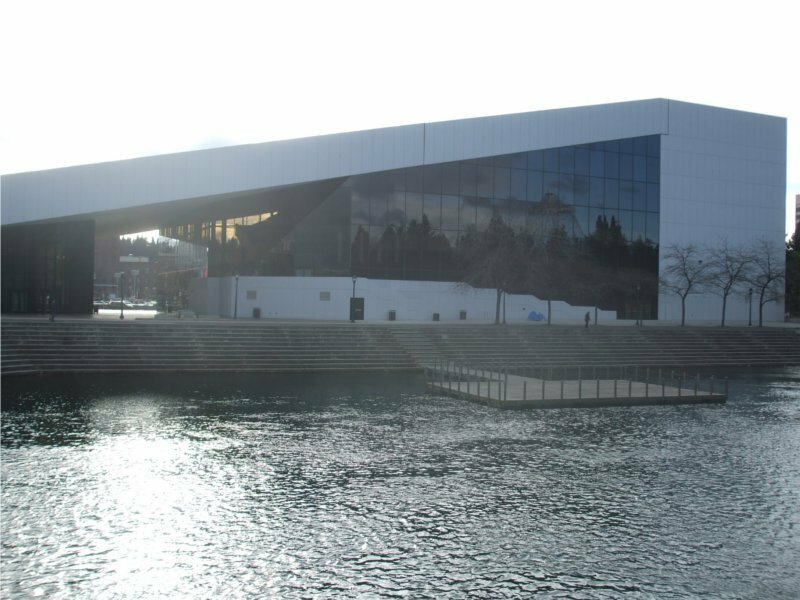 The River Front face of the Opera House: This is a view of the Opera House taken from Havermale Island. Courtesy of Jesse Roberts. 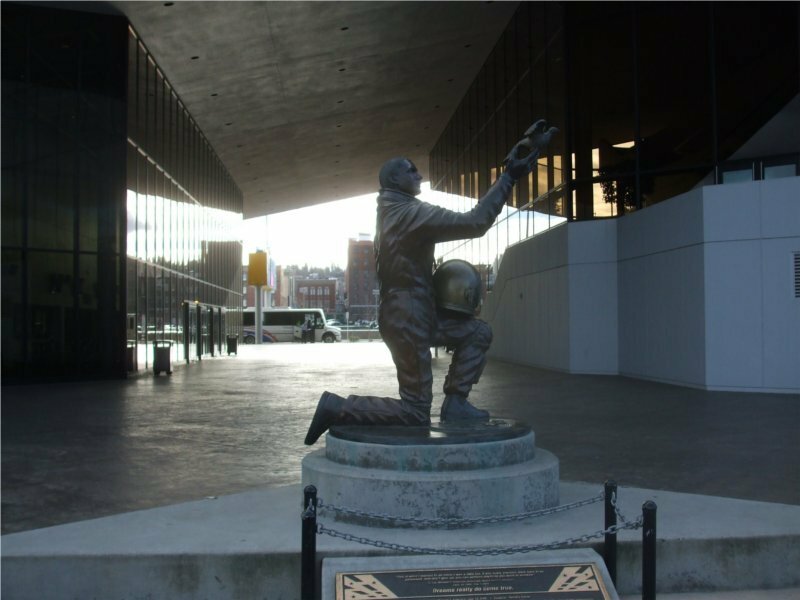 Michael P. Anderson Memorial: This statue was built in 2005 to memorialize Michael P. Anderson, a native of Spokane who died in the Colombia shuttle disaster in 2003. For more information see our page dedicated to this statue. Photo courtesy of Jesse Roberts. City of Spokane takes ownership of Opera House: This is an article about the City of Spokane receiving ownership of the Opera House from the State of Washington. Lewiston Morning Tribune, Apr 21, 1979, courtesy of Google News Archive. The Opera House is renamed INB Performing Arts Center: An article about the contribution of the Inland Northwest Bank to the maintenance of the Opera House and the Opera House being renamed in honor of the INB. The Spokesman-Review, May 31, 2006, courtesy of Google News Archive. Jesse Roberts, “Washington State Pavilion,” Spokane Historical, accessed April 24, 2019, https://spokanehistorical.org/items/show/274.